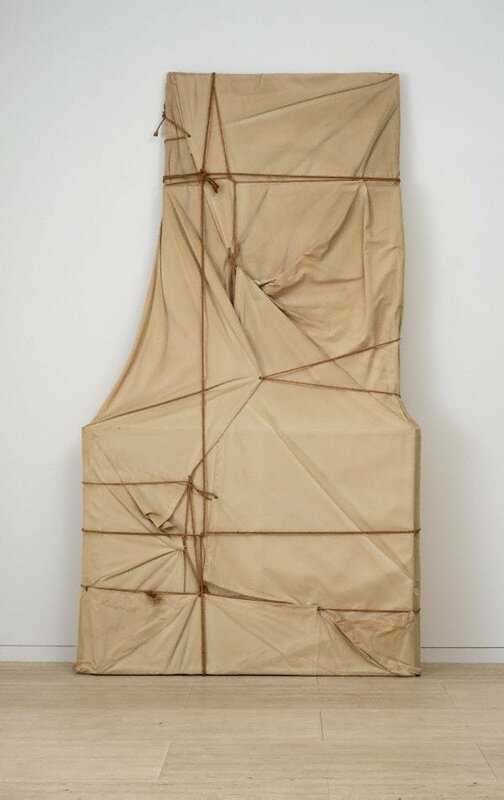 In Wrapped Paintings we assume that the rectangular objects inside the packing are paintings but can only imagine what they look like. Signed and dated l.l. verso, pencil "Christo 1968".